I know that this is a frot topic but I've been an Evernote user for 10 years and have over 10k notes there. About 30% are self-generated and the rest result of my web clipping, my 'read later' use case for Evernote and its web clipper. @ctietze article The Collector’s Fallacy really touches home for me. I’ve been a collector for years. Stuff is lost in the haystack called Evernote. So much for my confession. 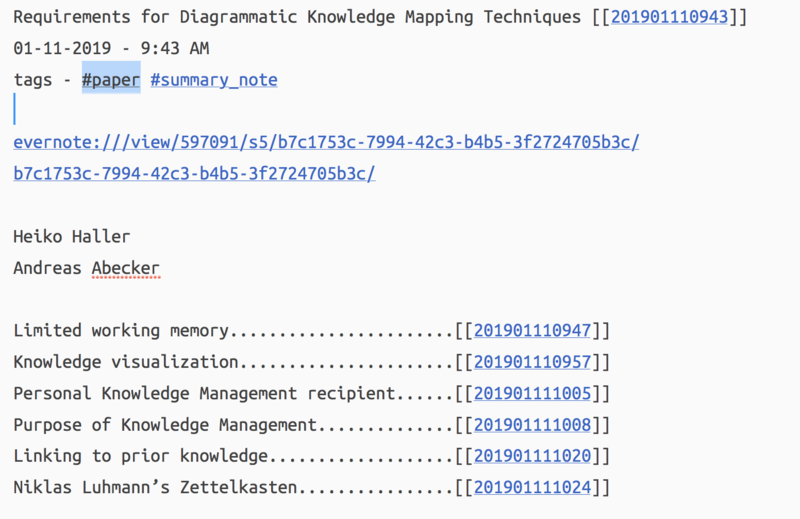 One of the use cases for Evernote for me is its ability to store and annotate PDF’s and papers. 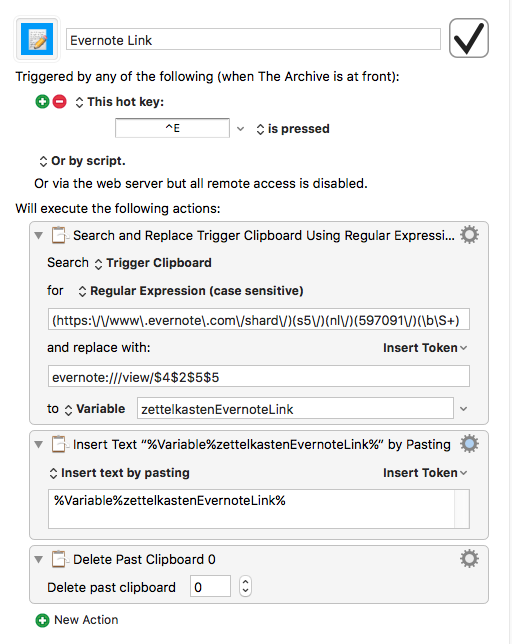 I’ve created a way to get an evernote:/// style link easily and reliably into The Archive using Keyboard Maestro. This macro requires the link to the target Evernote note be in the most recent clipboard. Control - Option - Command - C captures it when in Evernote. Then switch to The Archive and Control - E converts it from a web link to a link that opens the target note in the desktop version of Evernote. Results showing link that opens PDF in Evernote. The simple Keyboard Maestro Macro.